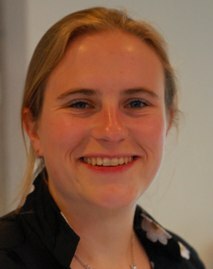 In the period January 2008 to January 2012, Maartje Zonderland was a PhD student in the Department of Applied Mathematics at the University of Twente (Chair Stochastic Operations Research). Additionally, she was a consultant at Leiden University Medical Center (LUMC), which is one of the eight university medical centers in the Netherlands. During this period, she not only developed sophisticated mathematical models for the complex problems that she encountered at the LUMC but also successfully implemented the solutions at the hospital. After her defense, Maartje started her own business, Zonderland ZorgLogistiek. She works as a consultant and project leader in logistical projects in the healthcare sector. She also develops tools so that results from research in healthcare logistics become available for the entire healthcare sector. See www.zonderlandzorglogistiek.nl for contact details. In this dissertation we study several problems related to the management of healthcare and the cure of disease. In each chapter a hospital capacity distribution problem is analyzed using techniques from operations research, also known as mathematical decision theory. The problems considered are inspired by logistical challenges faced by Leiden University Medical Center (LUMC). Several of the solutions we present in this dissertation have been implemented at LUMC. Considering our aging population, shrinking workforce and the current hospital efficiency levels it will be difficult, if not impossible, to provide an appropriate level of care for the sick and the elderly in the coming decades. Given what is currently at stake, it is hard to understand that it is quite common in hospitals to avoid explicit decisions on resource allocation and capacity distribution and just anticipate on ad-hoc basis on problems that occur. This is sometimes accompanied with very undesirable system outcomes such as patient cancellations and extremely long access (the time the patient spends on the waiting list) or waiting (the time the patient spends in the hospital waiting) times. The models we present allow for a quantification of consequences of capacity distribution decisions. The item that is distributed can either be time, or another kind of resource such as staffed beds. With the models a clear and succinct understanding of the problem, its possible solutions, and implications of these solutions can be obtained. All models we present allow for a quantitative analysis of resource distribution problems in healthcare. We can conclude that mathematical modeling contributes to higher quality, more sound decision making in healthcare.